What are the Top Tours on Galveston Island? Planning Your 2019 Galveston Vacation? Looking for Alternatives to AirBNB & VRBO? Is your vacation time too precious to leave to chance? Of course it is! Ease the worry of renting a vacation home sight unseen by choosing a local, professionally managed vacation rental company. There are lots of great reasons to book direct and choose an alternative to VRBO or other listing sites! Rental listing sites similar to Airbnb, Homeaway & VRBO are more interested in their booking volume than the guest experience. A professionally managed vacation rental company will be there for you every step of the way, from helping you find the best home for your group, to ensuring that your stay is worry-free. Booking directly with a local company has measurable benefits too – namely in the money you save on booking fees! Choosing alternatives to HomeAway and Airbnb let you avoid paying service fees & upcharges on your short term rental reservation. There are plenty of options other than online listing sites, and establishing a relationship with a local rental company can pay off in other ways too, like returning renter discounts or reward programs that earn you free time at the beach! Sand `N Sea is more than just a property management company – we’ve been helping families choose the perfect vacation rental home for over 40 years! Our entire team is 100% committed to 5-star customer service that provides the best homes & the best vacation rental experience for your Galveston Island vacation. We believe in pricing transparency – no hidden fees here! – and we offer real-time rental calendars & rate calculators on our website for every home we manage. No need to worry about “real”date availability or additional costs after you book your reservation! We make selecting the ideal vacation home easy! Our website boasts current pictures, floor plans, amenity lists, and maps to guide you through the process of choosing a home. Or, pick up a phone and call us! Our team of reservationists would love to talk with you about your vacation and see how we can help make it the best one ever! Our guests love us as much as we love them! View guest reviews for Sand `N Sea or see what previous renters have to say about each vacation home on our website, Facebook, Google & more! Here at Sand `N Sea, we are driven every day to provide the best experience possible to the guests that walk in our doors and to the homeowners whose beach houses we manage. We have a full-time staff of local Islanders in our office and available by phone 7 days a week. We know the island, we know the neighborhoods, and we know our homes – because we live locally and are in the vacation homes we manage every day! Our Property Services staff is ON-CALL 24/7. Having trouble with the AC at midnight? We can help. Can’t figure out how to make the hot tub work? Call us! Our LOCAL KNOWLEDGE is top notch! Need a recommendation for a seafood restaurant for lunch? We’ve got the insider secrets for local favorites! (or check out our list of great options). We offer great PERKS for our guests! Beach Club members earn free nights at the beach & we offer rental specials throughout the year – including flash sales! – that help you save big on your Galveston vacation rental! Our SELECTION of beach houses is top notch! Choose from over 150+ vacation rentals – beachfront, beachside, canal & bay, we’ve got them all! Plus, we love welcoming your furry BFFs to our pet friendly homes! We are lucky enough to call Galveston Island home, and we love sharing our Gulf Coast paradise with our guests – whether it’s your 1st or 31st time visiting! Galveston offers a variety of tours, perfect for visitors of all ages. Dolphin tours in Galveston Bay, architectural tours in the East End historic district, ghost tours in century-old graveyards, family-friendly ride-along tours…Galveston Island has all of those and more! As locals, we have our favorite tours to take our family & friends on when they visit us here on the Gulf Coast. These personal favorites are also the tours we recommend to our guests when they stay in one of our beachfront, beachside or bayfront Galveston vacation rental homes! Galveston is steeped in significant cultural, architectural & maritime history. 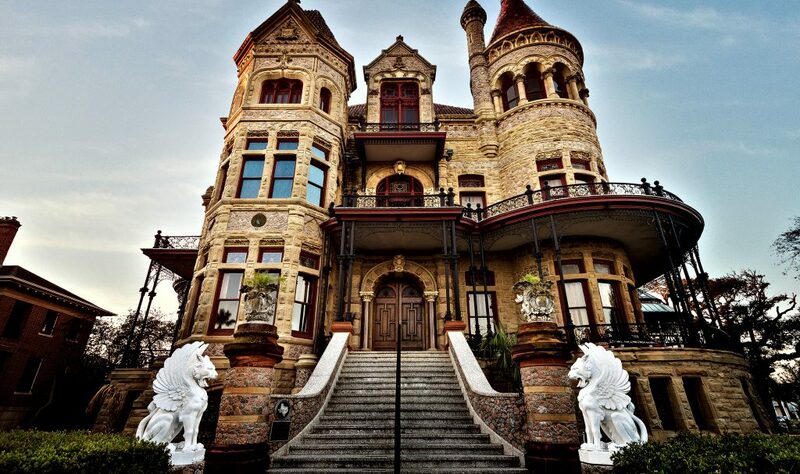 The Galveston Historical Foundation offers a unique variety of tours throughout the year. Our #1 favorite is the 1892 Bishop’s Palace (a.k.a Gresham House), which offers audio tours 7 days a week, and Basement to Attic tours monthly. Listed on the National Register of Historic Places, this outstanding home was designed by Nicholas Clayton. It boasts a unique blend of Victorian architecture and restored interior spaces,and survived the Great Storm of 1900 virtually unscathed. Be sure to check out the octagonal mahogany stairwell with stained glass artwork on five sides! Galveston Dolphin Tours & More! Ready to be on the water? Check out one of several Galveston boat tours! Artist Boat Kayaking Tours focuses on preserving and restoring our unique coastal heritage. 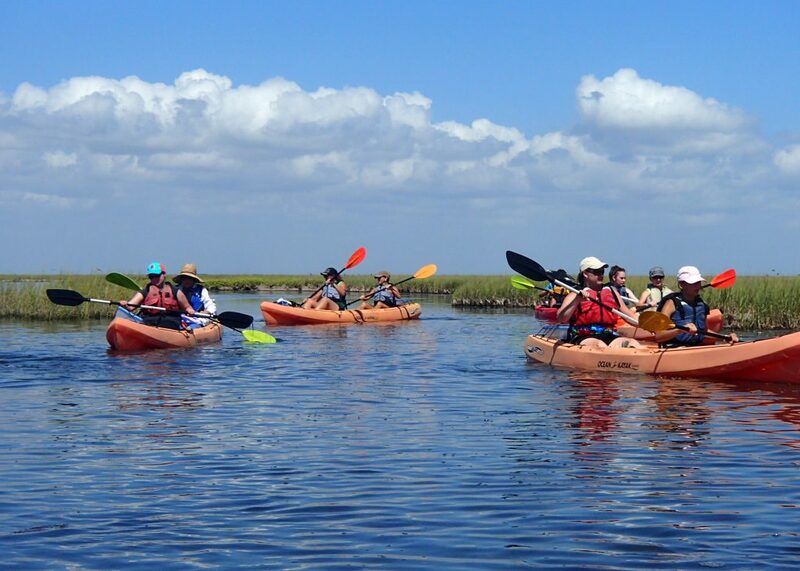 Take a Galveston eco-tour offering the unique opportunity to visit the secluded inlets and salt marshes around our Island. Artist Boat offers guided tours throughout the year &exciting youth-focused camps during summer break! Seagull II Harbor Tour & Dolphin Watch – this 50-foot twin-engine vessel was specifically built for sight-seeing excursions, with a covered main deck and an upper deck open to the sky. Local guides narrate your 1-hour-long tour. Explore the wide variety of birds & marine life that call Galveston Bay home & meet our local pod of dolphins! Ride the trolley! At only $1/person (minors ride free with an adult), the Galveston Trolley Tour is a great way to get a feel for our slice of coastal paradisen! Ride the loop through Downtown (feel free to hop off for restaurants & shopping!). Then, take a free transfer to the second route along the Seawall, between Stewart Beach & Moody Gardens. Segway Tours Galveston gives you a chance take a break from the walking and let your day just glide along (see what we did there?). Tour options include: The Haunted Legends Ghost Tour, Magical History Tour, Rat Pack Tour & more! 48-hour advanced booking is recommended, and riders must be over 14 years of age. Galveston Duck Tours drive down Seawall Blvd. and then keep right on going into the water of Offatt’s Bayou! Tours span more than 15 miles of Galveston Island. Advanced ticket purchase is recommended, especially during the busier summer months. Budget friendly options abound here too! Spend your vacay money on fun stuff – like kites, Gulf seafood, or the perfect bizarre shell sculpture souvenir! Join the Friends of Galveston Island State Park each weekend (March – October) for their Beach & Bay Explorations. These family-friendly Galveston tours are FREE after park admission. Take the chance to get up-close-and-personal with ghost & fiddler crabs, migrating birds, and whatever else is gathered in the seine net! 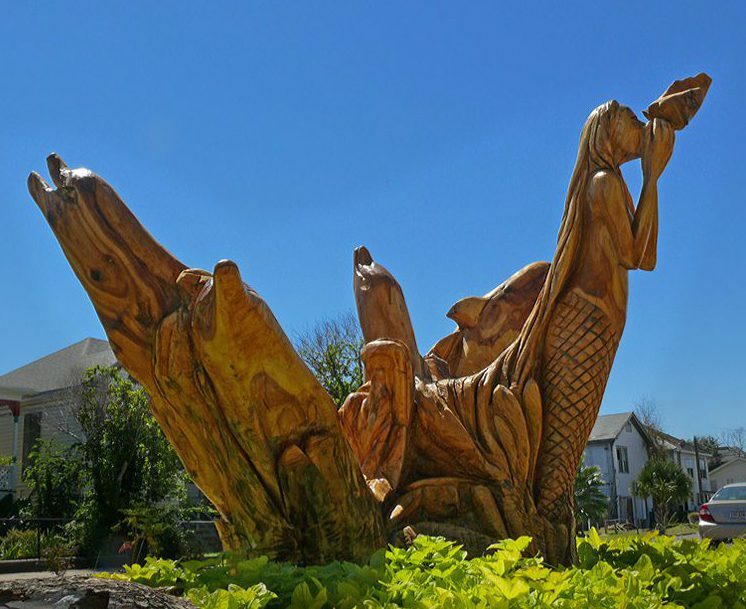 Take a leisurely walk through Galveston’s East End and explore the gorgeous Tree Sculpture Tour, showcasing the artwork made from oak trees that fell victim to Hurricane Ike in 2008. Follow the link for a complete map of locations so you don’t miss any! Be sure to check out our Budget Friendly Galveston post for other great ideas for doing Galveston on a budget! 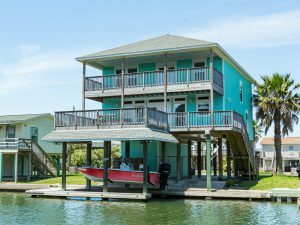 The best base for your trip to Galveston Island is a West End vacation rental home! Sand ‘N Sea beach houses have plenty of room to spread out after a long day relaxing on the beach or a busy day of touring Galveston. Book yours today! Posted on January 31, 2019 March 27, 2019 Author Jessica LaBelleCategories Sand `N SeaTags Galveston Tours, Galveston VacationLeave a comment on What are the Top Tours on Galveston Island? ‘Tis the season to start planning your 2019 Galveston vacation! Our Vacation Planners will be hitting mailboxes starting January 7 but, in the meantime, here are some of our new Galveston Island favorites! We’ve had some delicious new restaurants open in Galveston, including Pennie’s Tex Mex Take Out and Lolo Kai Smoothies & Wraps. Pennie’s offers tamales and bbq, including brisket, link sausage and their amazing weekends-only barbacoa & seasonal menudo. Lolo Kai serves up lighter fare, with a full wrap & smoothie menu in addition to their unique acai bowls. Looking for something to liven up your weekend away? Check out Vintage Crown Boutique & Bar for their famous micheladas (the perfect accompaniment on a hot island day) or head over to Seawall Blvd. and tour the Texas Tail Distillery, offering a variety of locally-produced vodka, whiskey & moonshine. Feeling a little adventurous? Book a flight with Skydive Galveston and see the island from a totally different angle! 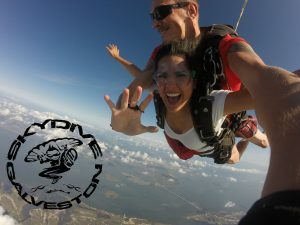 Soar in the sky and view all 23 miles of Galveston beaches with this family-friendly tandem skydive service. Not into heights? Keep your feet closer to the ground and book a tour with SegCity Segway Tours Galveston. From Haunted Legends to the Tree Carvings Tour, guests 14 years old+ can see the city in a new & fun way! Want the perfect souvenir to remember your 2019 Galveston Beach Vacation? 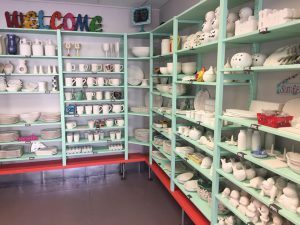 Stop by Clay Cup Studios with your whole family and paint your own pottery or canvas, create a glass fusion masterpiece or try their new silk painting! Need some artistic inspiration before heading over to Clay Cup? Head on over to The Bryan Museum in the historic Galveston Orphans Home. Featuring one of the world’s largest collections of art related to Texas & the American West, this local gem offers stellar permanent galleries as well as rotating special exhibits, a library & an archive. 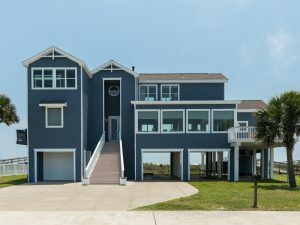 From beachfront vacation rentals to bay & canal retreats, pet friendly to houses that work together for large groups, Sand `N Sea Properties vacation rentals are the perfect place to call home during your 2019 Galveston Island vacation. Local & trusted for over 40 years, we love welcoming generations of guests to our slice of Gulf Coast paradise! With 24/7 direct booking, on-site maintenance staff & a rental team of island locals, we’re here to help you through every step of planning and enjoying your best Galveston Island getaway! Plus, our great rewards program earns you free time at the beach! 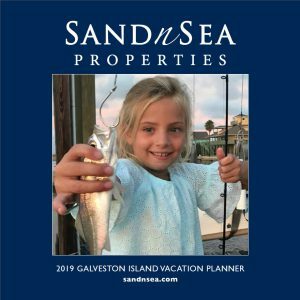 Posted on December 21, 2018 March 5, 2019 Author Jessica LaBelleCategories Sand `N Sea, Vacation RentalsLeave a comment on Planning Your 2019 Galveston Vacation? ‘Tis the season for fun and relaxation! With a calendar stuffed full of local Galveston December events PLUS a great vacation rental special to unwrap, there’s no reason to miss celebrating the holidays on Galveston Island this year! 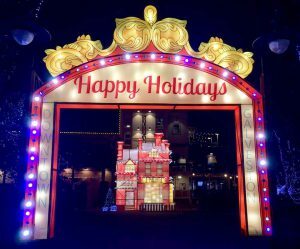 Downtown Lanterns & Lights (through Jan. 1) – Featuring a magical display of lights, an interactive photo frame (#selfie #decembertoremember #familyfun) and a giant snowglobe on designated weekends, Saengerfest Park & the heart of The Strand District in Historic Downtown Galveston are dressed in their holiday best for the season. Be sure to get some holiday shopping done while you’re Downtown! The Grand 1894 Opera House Holiday Season – This stunning local gem is hosting a fun variety of performances in December. Enjoy the Dickens classic A Christmas Carol (Nov. 30 & Dec. 1) or the smooth big band holiday sounds of the Jazz at Lincoln Center Orchestra with Wynton Marsalis (Dec. 2). The kids will love A Charlie Brown Christmas Live on Stage (Dec. 23). 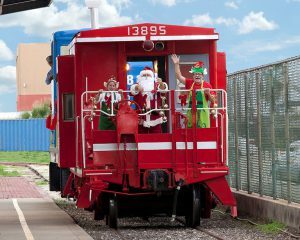 Santa Train at the Galveston Railroad Museum (Dec. 15) – Santa’s train arrives at noon so get those cameras handy! Protip: the Railroad Museum participates in the Galveston Island Pass, a great way to save up to 40% on local attractions. Holiday Splash at Schlitterbahn Indoor Waterpark (through Dec. 30) – Open weekends and select holidays through the end of the year, your whole family will love the special indoor season at Schlitterbahn Galveston! Enjoy the Snow Globe Float, Bahn Borealis Light Show, Surf with Santa & more! Protip #2: Buy your tickets online & save. Picture it – the relaxing Gulf waves…the sounds of laughter & cheer…and plenty of room in the kitchen for ALL of the family chefs to prepare your their favorite holiday snacks. Dreaming of a house with two living spaces so the kids can work off the out-of-school crazies while the adults catch up on all the family gossip? We have larger vacation homes perfect for appeasing those sugar plums of stress dancing in your head. Need a low key escape from the holiday insanity? #wegotyou. Pick a cozy vacation home and bring your favorite traditions with you to a quiet beach or bay vacation rental. Whip up some quick & easy seafood recipes in a fully stocked kitchen, or stop by one of the delicious Galveston restaurants the locals love (we’re always happy to recommend a must-eat, just ask!). 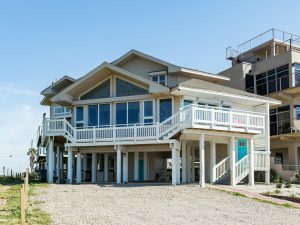 Start by enjoying your turkey & trimmings at a Galveston Island beach house in November! Find the perfect beach house, then prepare your family favorites OR (here’s our pro-tip) let everyone relax and preorder a full dinner for pick-up at one of our local island eateries. Mosquito Cafe and ShyKatz Deli & Bakery are already taking preorders for full Thanksgiving feasts, and there’s a full list of holiday brunches & buffets to choose from! 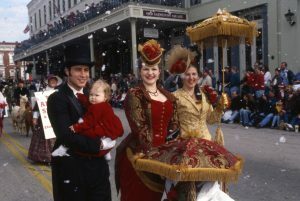 Galveston Historical Foundation special events, including Dickens on The Strand (November 30 – December 2) and the Full Moon Tour of the 1892 Bishop’s Palace (November 23, 7 p.m.) are local favorites. For a unique Galveston Island holiday events experience, get your tickets today for Holiday with the Cranes (December 8 – 9), celebrating the return of the island’s wintering Sandhill Cranes. This weekend is fully feathered with a full flight of indoor and outdoor nature activities! 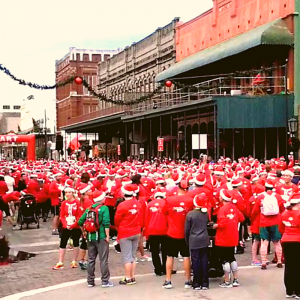 Thousands of Jolly old & young St. Nick’s are coming to Galveston for the Santa Hustle 5k & Half Marathon (December 16), benefiting the Galveston County Food Bank. Racers enjoy candy, cookies & Christmas music along the route! 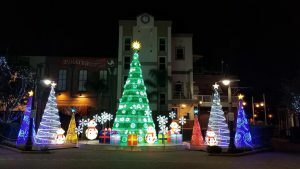 Need more info on Galveston Island holiday events? Check out our full local events calendar and follow us on Facebook! Want to be the first to hear about our winter rental specials? Sign up for our emails! 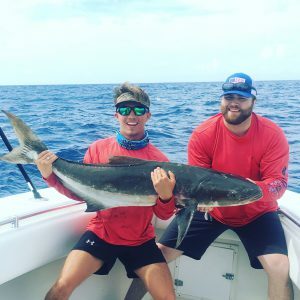 Surf fishing, wade fishing, deep sea fishing, fishing from the dock, warm weather fishing, cool weather fishing…well, you get the idea 😉 Enjoy great fishing of every kind when you visit Galveston Island during the winter! 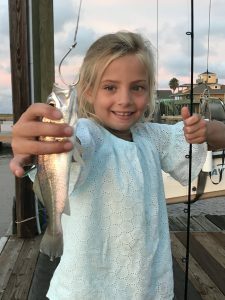 This year, there are 2 inaugural fishing tournaments (the Galveston Fishing Rodeo & Fall Flounder Classic, with prizes!) to lure you in as well! Check out our previous post for some hints about the best birds to look for at this time of year! We love the huge Sandhill Cranes that migrate to Galveston for the winter – you can find them strolling the pastures throughout the West End. Don’t miss the Holiday with the Cranes event put on the by GINTC (Galveston Island Nature Tourism Council), December 8 – 9 (more info coming soon to their webpage). Galveston’s 32 miles of beaches are perfect no matter the weather, but beachcombing gets even better as short winter storms move through, and seasonal currents bring new creatures up from the depths of the Gulf. Plus, the weather can be beautiful & there are fewer people sharing the sand with you during winter on Galveston Island! ‘Tis the season – festival season that is! We’ve got something for everyone happening on the island at this time of year – and the perfect excuse for a Galveston weekend getaway! Constructed in – you guessed it! – 1894, “The Official Opera House of Texas” plays an important role in supporting the arts, with award-winning dramas, Broadway musicals, internationally-acclaimed musicians & the Serious Fun Children’s Series gracing the stage every season! Need more ideas (aka excuses) for getting away to Galveston this winter? Check out our full local events calendar and follow us on Facebook! Want to be the first to hear about our winter rental specials? Sign up for our emails! Grab your gear and get ready to reel ’em in at the Galveston Fishing Rodeo in October or the Fall Flounder Classic this November & December! Hosted and coordinated by the Galveston Professional Boatmen’s Association, these two inaugural tournaments cast light on the amazing surf & off-shore fishing we get to experience here on Galveston Island! The Galveston Fishing Rodeo runs from September 28 at 6:30 p.m. to October 28 at 5:00 p.m in the Galveston Yacht Basin. With inshore & offshore divisions and over $10,000 in winnings and prizes, there’s something for everyone in this inaugural tournament that’s open to private boats as well as guided anglers. Inshore: Bull redfish, Speckled Trout, Flounder, Spanish Mackerel & Gaftop Catfish. The entry fee for the Galveston Fishing Rodeo open angler (boat or shore fishing) is $30, while the guided division fee is $100. Weigh-ins happen at the Galveston Yacht Basin Bait & Tackle on North Holiday Drive. Entry fees for the Fall Flounder Classic are $30 for open anglers & $100 for the guides division. Prizes for each category are different! After you get registered for your tournament-of-choice be sure to get your beach house booked! With plenty of room for storing your gear, multiple bedrooms, great space for grilling your fresh catch, and fully stocked kitchens, our beachfront, beachside & bayfront vacation rentals are a real catch! Want to be the first to hear about our fall rental specials? Sign up for our emails! …these are a few of our favorite things! But our most favorite thing is adding new Galveston vacation rental options for our guests! Or maybe it’s welcoming new guests…no, it’s welcoming your family each year and seeing it grow & change…or, maybe…well, we have LOTS of favorite things, but introducing new vacation rentals is definitely in the Top 5! 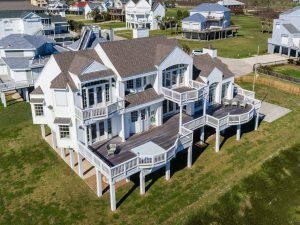 We’ve had some gorgeous new Galveston Island vacation homes join our program in the last month, and we are excited to show them to you! 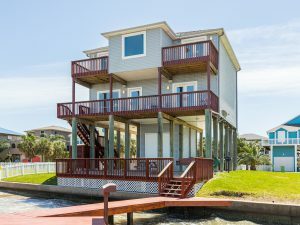 Has your family outgrown their favorite Galveston vacation rental? 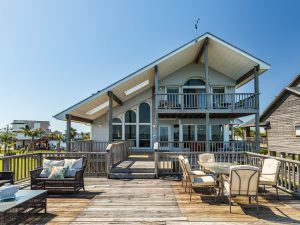 Or are you looking for the perfect place to start building lifelong vacation memories?These contemporary vacation homes are full of the amenities you’re looking for: pools, elevators, private piers, panoramic Gulf views, multiple decks & more! Need even more reasons to try one of these stunning new vacation rentals? We’ve got TWO! 1. 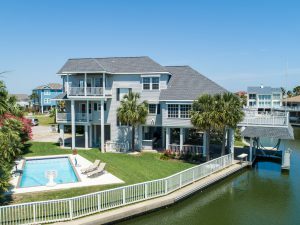 Salt Life and Coastal Retreat both have “7 Nights for the Price of 5” rental specials running for the month of June! 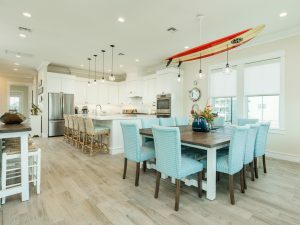 That’s over $290 in savings at Salt Life and over $160 savings in Coastal Retreat – and that could get you a lot of fresh Gulf seafood to enjoy while at the beach! 2. Don’t forget – each stay in ANY of our new vacation rentals could be earning you points towards a FREE 2-night stay when you’re a member of the Sand `N Sea Beach Club! 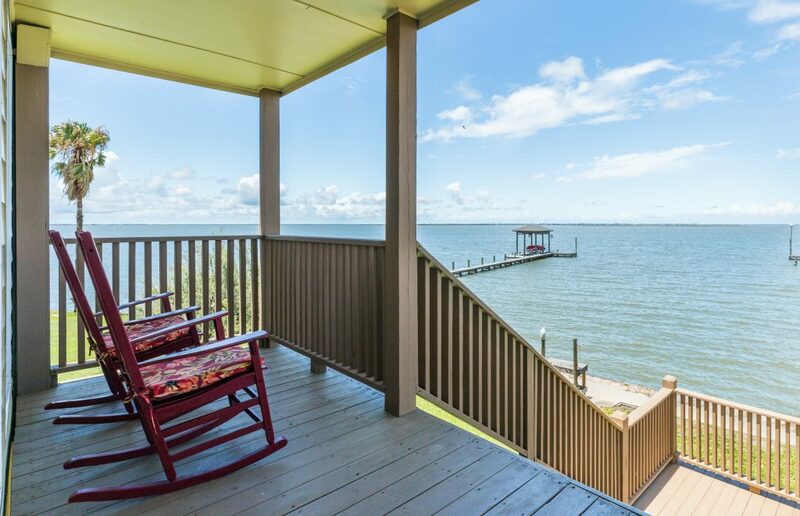 Catch a Galveston Bay Getaway! 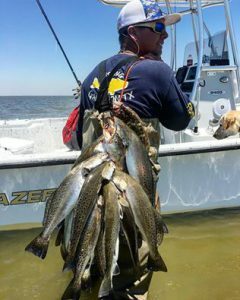 See how the other half (of the Island) lives – spend time fishing, birding or boating on Galveston Bay! We know our beaches are the prime draw to our slice of coastal paradise – who can resist sitting in the surf with a cool drink in your hand? The stuff dreams are made of we tell ya! – but, head north from FM 3005 and you’ll discover another side to Galveston Island that’s well worth your time. Galveston Bay is home to wildlife and marine animals as diverse as the bay & canal homes that border them! 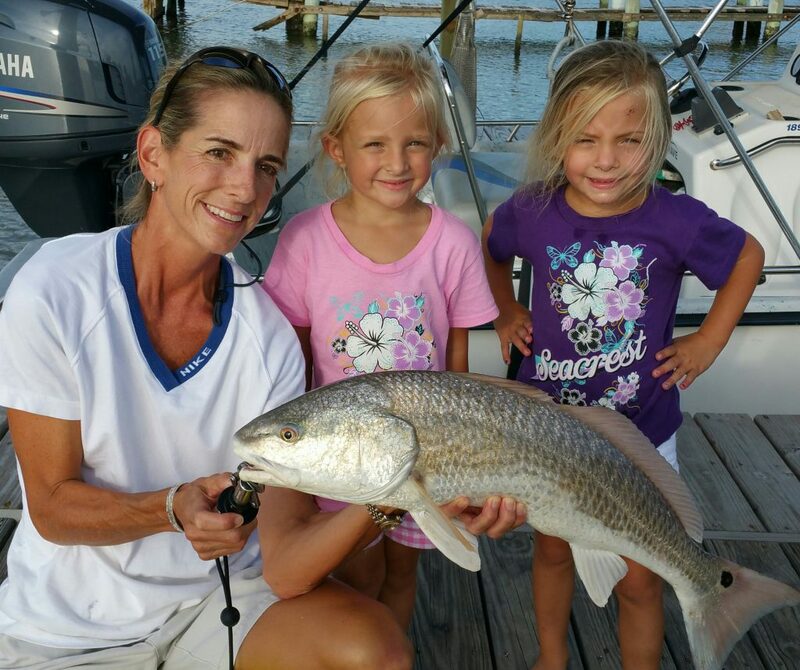 Red drum, sheepshead, flounder, sea trout and more are found in the bay. 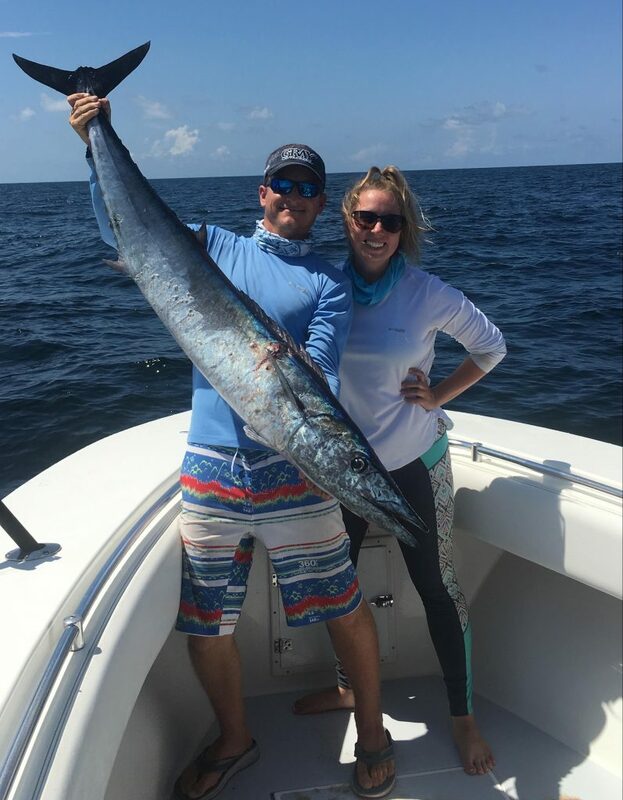 Bring your boat or schedule a charter with a local fishing guide who knows all of the best spots! Or, just fish right from the deck of your canal front vacation rental. Grab bait from Sea Isle Bait Camp at the West End Marina, or stop by the Rusty Hook down towards Bay Harbor. Looking for a truly unique casting experience? West End-based equipment lender Rick’s Beach Rentals offer fishing kayaks for 1 or 2 people by the day or week. Perfect for a paddle around the marshes or inlets! Is the promise of excellent fishing not enough to convince your family to give the bay side a try? Reel them in with the promise of a private pool! 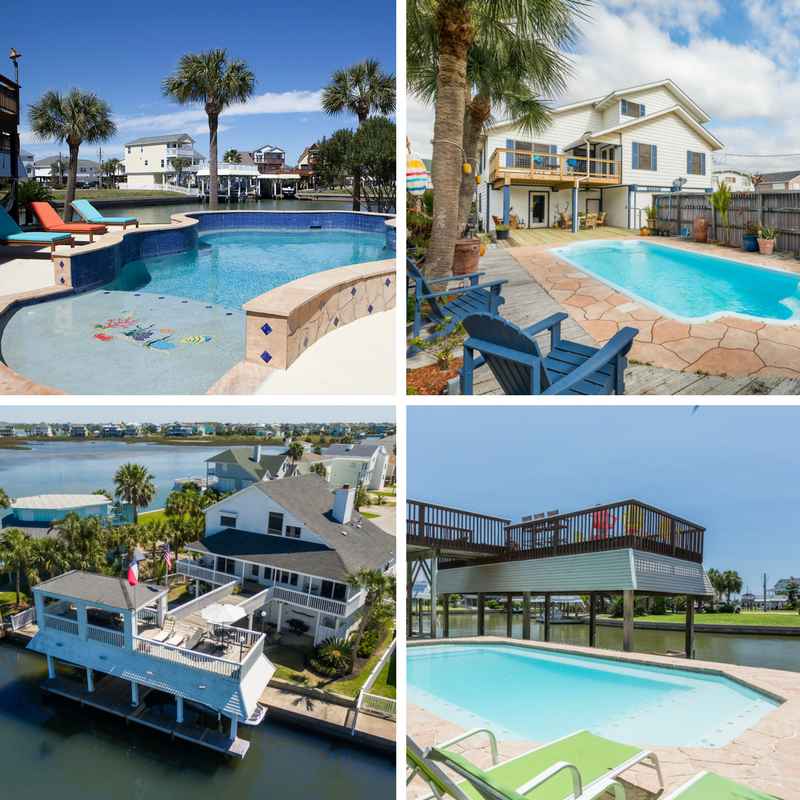 We’ve got the perfect bait – three different canal front vacation rental homes with private pools: Aloha Paradise, Bay Escape, , and Isla del Sol. Last but not least, check the weather forecast & read the fishing report to see what’s running. Who knows! Maybe you’ll join the ranks of the Texas Park & Wildlife’s Angler Recognition Program! Examing the current weight records and get ready to catch a big ‘un! Posted on April 13, 2018 January 15, 2019 Author Jessica LaBelleCategories Galveston, Sand `N Sea, Vacation RentalsTags fishing, Galveston BayLeave a comment on Catch a Galveston Bay Getaway! TALL SHIPS are Docking at Galveston Island! 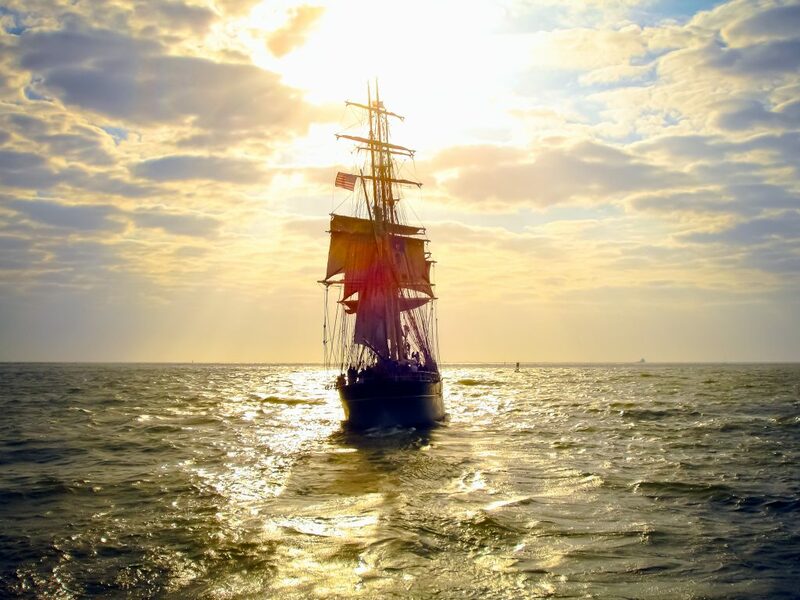 Sail in for a weekend of family-friendly fun along Galveston’s historic harbor April 5 – 8, 2018 with TALL SHIPS ® Galveston! Starting with Galveston’s own square-rigged iron barque ELISSA (1877), the tall ships participating in this years TALL SHIP CHALLENGE represent six unique builders and call six different ports home – including four in the United States and one each in the Cook Islands and the Netherlands. Did you know? 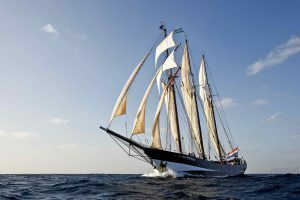 Galveston serves as the home port for ELISSA – The Official Tall Ship of Texas! ELISSA docks next to the Texas Seaport Museum at Pier 21 and can often be seen sailing around the bay. Want to see how our local tall ship stacks up against the competition? Sailing fans of all ages will love this unique chance to see history come alive on a wide aquatic stage as these ships kick off the very first TALL SHIPS CHALLENGE® Gulf Coast 2018 series. Start with the Parade of Sail along Seawall Blvd. 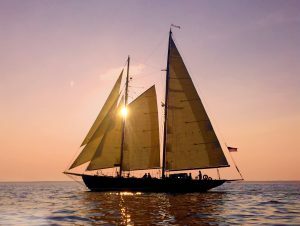 at 1:00 p.m. on Thursday and continue with tours of participating ships, day sail excursions, live music, sunset happy hour sails & more, all weekend long! View the full event schedule & book your tickets today! Book your birth – get a FREE night at the beach when you sail into a Sand `N Sea vacation home for TALL SHIPS® Galveston! We offer a great selection of beachfront vacation rentals, beachside vacation homes and bay & canal homes perfect for fishing & boating! Posted on March 23, 2018 January 15, 2019 Author Jessica LaBelleCategories Sand `N Sea, Vacation RentalsLeave a comment on TALL SHIPS are Docking at Galveston Island!